Listen to the podcast below and be sure to check out the all-new season of Murder Made Me Famous on REELZChannel. From the outside, the Menendez family appeared to have it all. But beneath the shiny veneer, trouble was brewing. Jose and Kitty Menendez were gunned down in their home while their two sons were off at the movies. When the boys returned home, they found their parents bodies and immediately called 911. 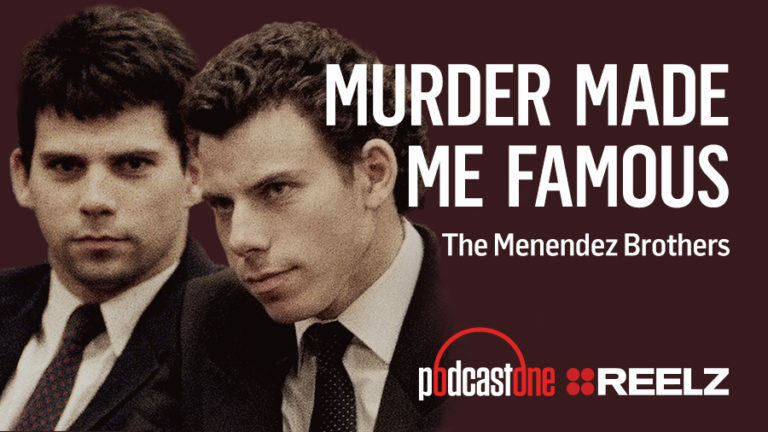 At first, Lyle and Erik Menendez played the parts of the grieving sons, crying in front of news camera’s asking who would do this to their parents. But within weeks, the tears turned to parties and spending sprees. Could the unthinkable be true? Was it possible the boys killed their parents for their inheritance? The trial of the century was underway, and it was being broadcast across the nation.